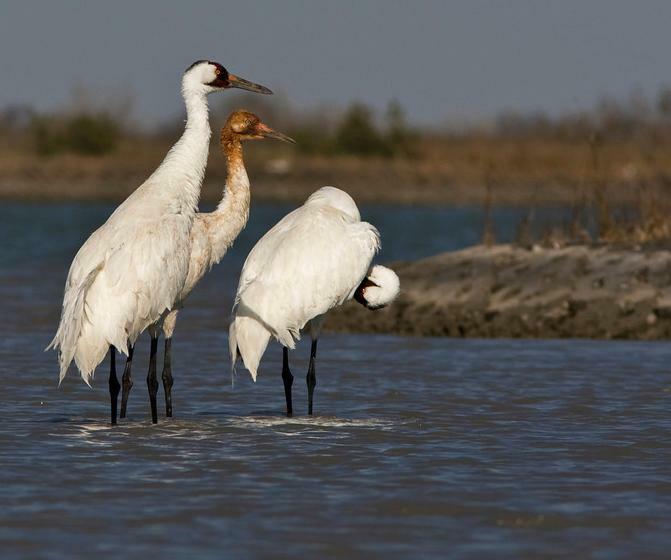 Welcome to website of North America's tallest bird, otherwise known as the whooping crane, Grus americana! The whooping crane is a beautiful organism, but is sadly endangered. With only around 500 birds living today, this crane has made an amazing comeback from the 21 individuals that were alive in 1941. This restoration was successful because of the help humans have offered them along with their passion to save this crane from never being seen again. To learn more about their restoration, visit my Conservation page here. However, I suggest you take a look at my Appearance page to learn what the whooping crane looks like by clicking here. If you would like to learn about a different organism, click here to visit multipleorganisms.net. Enjoy my site and thank you for visiting! This website was last updated on April 23, 2010.